1oT is thrilled to exhibit at the Smart City Expo with other innovative Estonian companies at Hall 2, Street E, Stand 561 in the Estonian Pavilion! We're happy to demo our solution to IoT & M2M device makers and smart city service providers during our visit. Truly global 1oT SIM: Not entirely sure whether the device will end up in Japan or Zimbabwe? With our 1oT SIM, you don't have to worry as the device will get great cellular connectivity everywhere, without breaking the bank. It comes in all form factors (2FF, 3FF, 4FF, MFF2 chip SIM) and supports technologies from 2G to 4G. 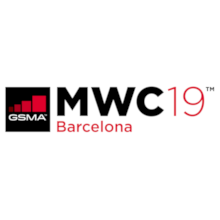 On top of that, 1oT will be one of the first providers to launch its eSIM solution, during Q1, 2019, for small and medium-sized IoT and M2M service providers. Be a part of the eSIM revolution! 1oT Terminal: Put an end to the guessing game and see what is actually going on with your SIMs. From a detailed view of all your data sessions to many value-added services, 1oT Terminal provides everything you need in one place. All this and much more on a self-service platform with a great UI makes 1oT Terminal an amazing tool. You just have to see it in action! 1oT Terminal-as-a-Service: We are licensing our connectivity management platform to MNO/MVNOs, municipalities, large enterprises, SIM vendors - whoever needs to manage hundreds of thousands of SIM cards and wants to do it unitedly using one platform. Reach out at sales[at]1ot.mobi and let's have a nice chat at the Expo or in Barcelona!